In November 2015, they were there to “build their dreams,” but then, expanded in 2016 to a two-day event, the Central Iowa Bridge-Building Challenge got serious. How serious? Well, due to the overwhelming interest in the 2015 Challenge, the Iowa Department of Transportation (Iowa DOT) and Iowa State University’s (ISU) Institute for Transportation (InTrans) decided to partner again with competition host, the Science Center of Iowa (SCI), to expand their program so more students and families could participate. The 2016 Challenge began on Friday, November 11, with students in grades 1–3, grades 4–6, and grades 7–8. With a total of 18 teams and 71 participants, there was definitely some competition. Teams had 2.5 hours to design and build their own bridge using balsa wood, wooden clothespins, Popsicle sticks, hot glue, and string. 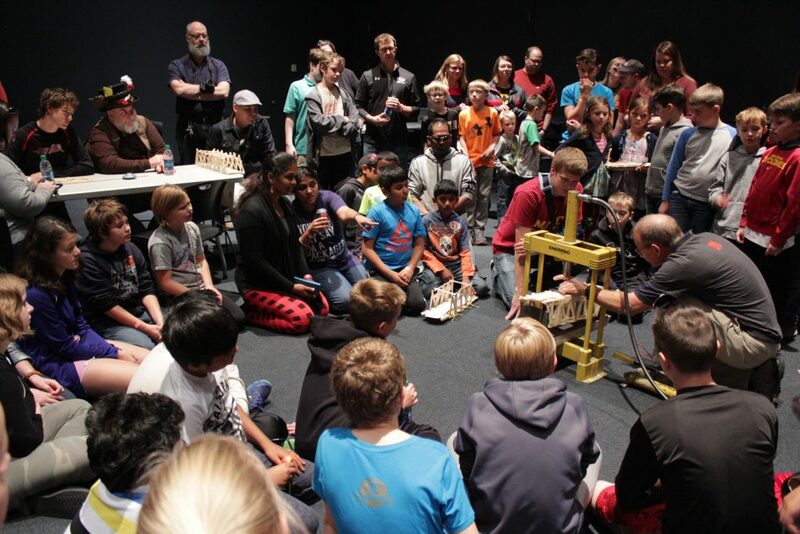 It was solely up to the students to design and build their own bridges, although professional engineers from the Iowa DOT and InTrans’ Bridge Engineer Center were there to answer questions and provide some helpful hints. Then on Saturday, the 2016 Competition opened up to both students and family groups, which included a record-breaking 25 teams and 87 participants. Now, it wouldn’t be a true competition without awards. 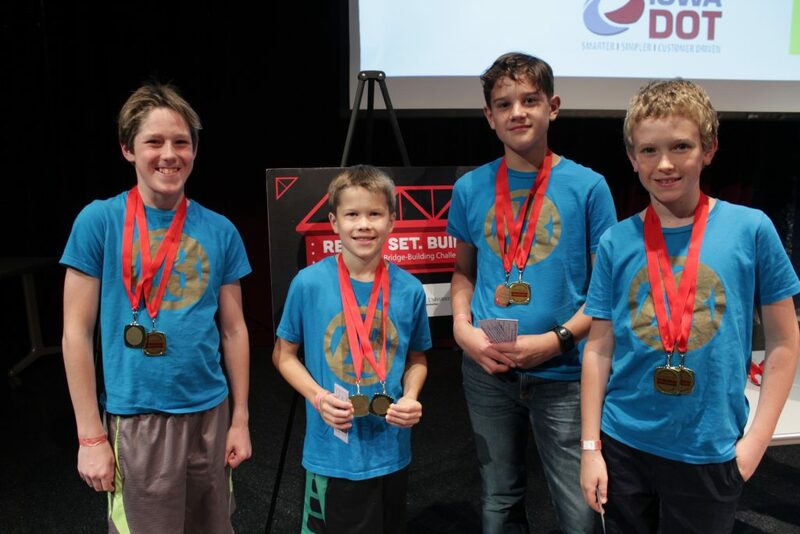 Each grade level received awards in innovation, truss teamwork, and highest structural efficiency. This was also expanded to the family group during the Saturday competition (along with a few special awards for “Best Adult Team” and “Best Team Name”). 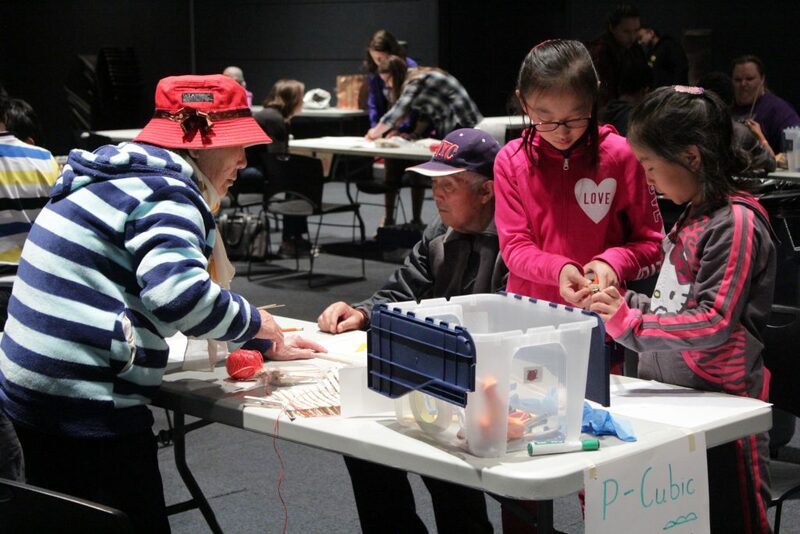 Now, although a fun and family-friendly activity, the Bridge-Building Challenge uses real science while teaching students about the engineering design process—a series of steps used by real engineers to come up with solutions to a problem. “It supported everything that we have been learning in school. 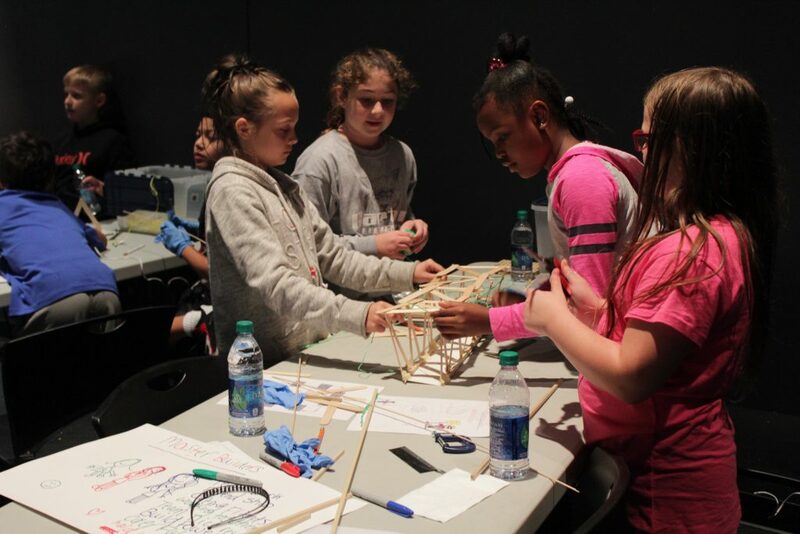 The kids were able to apply all that they learned about the engineering design process in a collaborative learning space,” said one teacher (grades 4–6) during Friday’s competition.